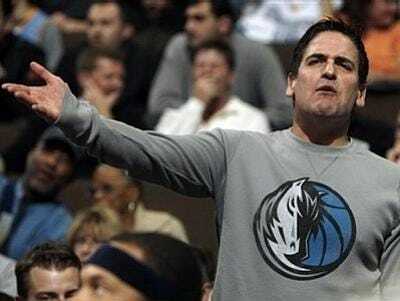 Billionaire Mark Cuban has turned the tables on the SEC.After a judge dismissed the allegations the SEC made against Cuban for insider trading, Cuban went on the warpath. 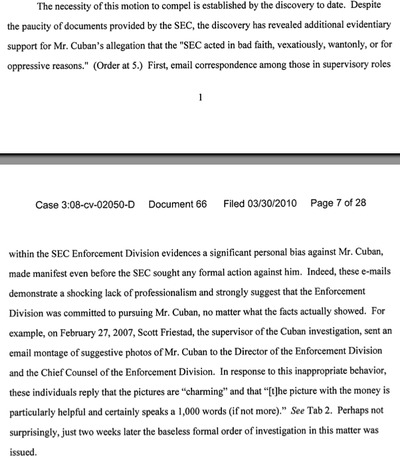 He sued the SEC for damages and attorneys’ fees and demanded to see, among other documents, emails that had been sent within the SEC concerning his case. Cuban says the SEC has hundreds of relevant documents that it is refusing to turn over. In the meantime, his attorneys have published some initial emails. One of them, they say, reveals a bias against Cuban within the SEC. (The head of enforcement saw a picture of him holding a bunch of cash and said the picture was worth a thousand words. A couple of weeks later, they launched the investigation.) 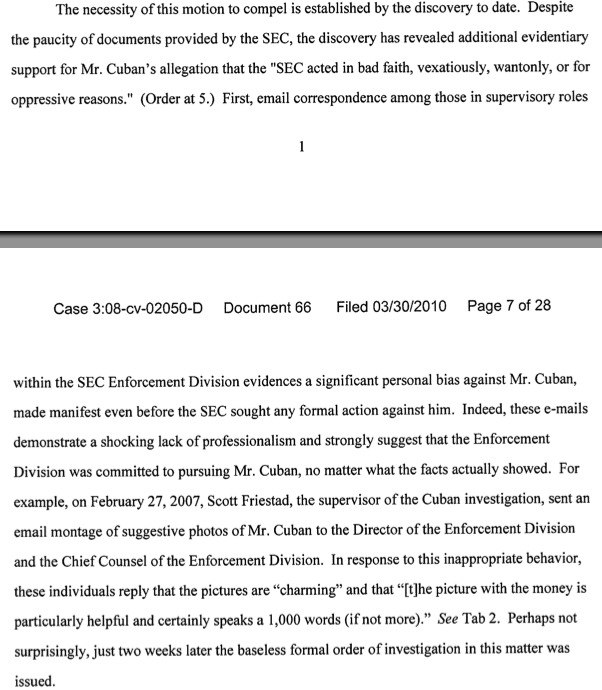 More seriously, Cuban has accused the SEC of witness tampering.